Club Deportivo Praxis located in Gran Canaria (Canary Islands, Spain) is hosting a gala on 6th of June. The event will be held at the Municipal Sports Center Vecindario. This venue can host 2500 spectators. 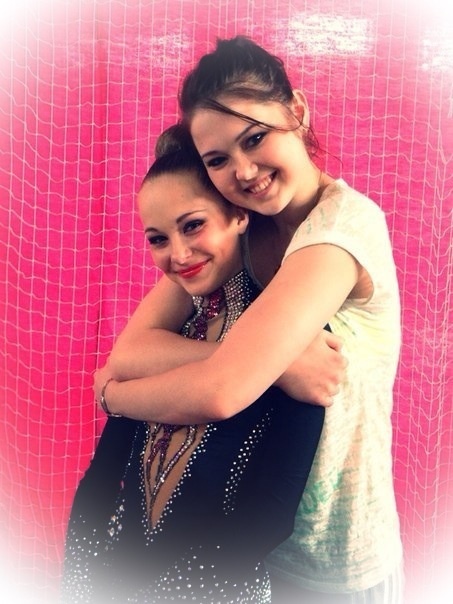 The Gala lasts 2 hours (from 19:00 to 21:00) and gymnast will perform two exhibitions and a photo shoot. Former gymnasts Silviya Miteva (BUL) and Alina Maksimenko (UKR) are already confirmed. On the other hand, Russian twins Arina and Dina Averina are also attending this event. Ulyana Trofimova (RUS/UZB) is pending to confirm. 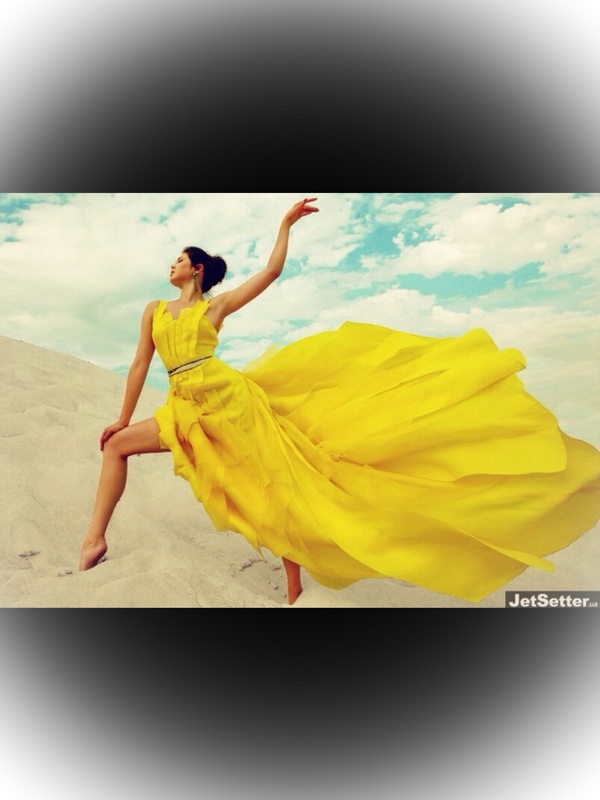 Alina Maksymenko shows off her new photosession for Ukrainian magazine, JetSetter with some other celebrities like Masha Sobko. This editorial was made to express their patriotism, how they do love their country and support their homeland. They are wearing yellow and blue clothes (Ukrainian flag colours). The project was presented in a glamorous cocktail in a luxury hotel in Kiev. Ukrainian former rhythmic gymnastics double Olympic participant, Alina Maksymenko is one of the most admired gymnasts nowadays. Why? 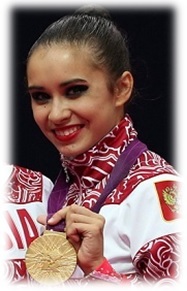 Her artistry, charisma and strenght made Alina one of the most popular gymnasts in the last years. She feels the emotions from the first second to the last one of her exercise. Alina became an Olympian in 2008 performing with the group. After Olympics, Anna Bessonova retired and Alina got a difficult challenge: being the leader of Ukrainian National team. At London Olympic Games, Maksymenko ranked 6th. Kiev World Championships in 2013 was the most important competition for Alina before she retired, where she won bronze medal with her “Fever” composition with clubs. Right now Alina is helping Irina Deriugina as a coach. Who is going to retire from gymnastics this year? After World Championships that were held in Kiev, a few gymnasts decide to stop doing gymnastics. Alina Maksymenko, from Ukraine, decided to become a coach. 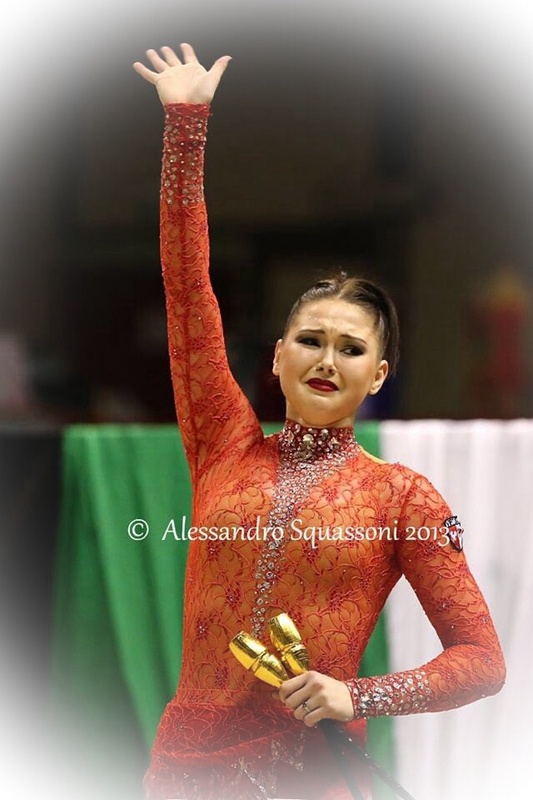 “After World Championships, I will help in Deriugina school as a coach” – said Alina. “I will continue training, in fact I will compete until the end of the year. After this, I am not very sure yet, but probably I may only compete in national competitions. I would also like to help little gymnasts to become rhythmic gymnastics stars”. Silviya Miteva, from Bulgaria is another individual gymnasts, with a long career that decide stop doing this sport. Since 2003, Silviya competed for Bulgaria (World Championships Budapest 2003). She won bronze medal in Ribbon (Mie WC 2009, Montpellier WC 2011 and EC Vienna 2013). 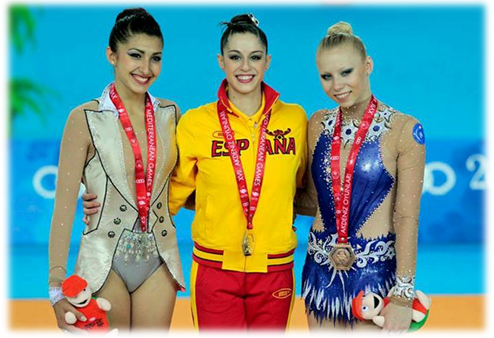 Marina Fernández, former individual gymnasts from Spain and group gymnast (in 1st group since 2013) said she will retire. 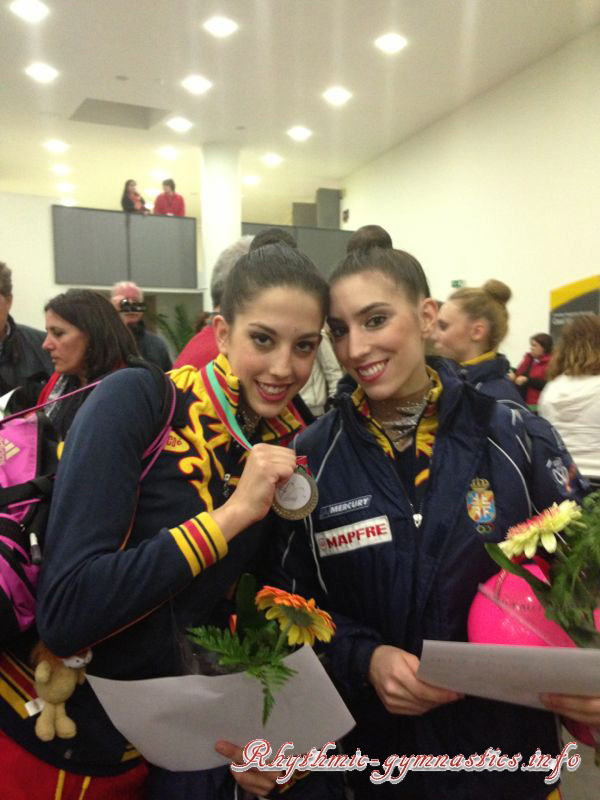 Marina didn’t attend to World Championships because of a technical decision of her coaches. Russian group will be compounded by new gymnasts, since Olympic Champions Anastasiya Bliznyuk, Anastasia Nazarenko and capitain of the group, Kseniya Dudkina. Alina Makarenko retired after suffering from a knee injury. Caroline Weber said goodbye to gymnastics after Vienna European Championships. 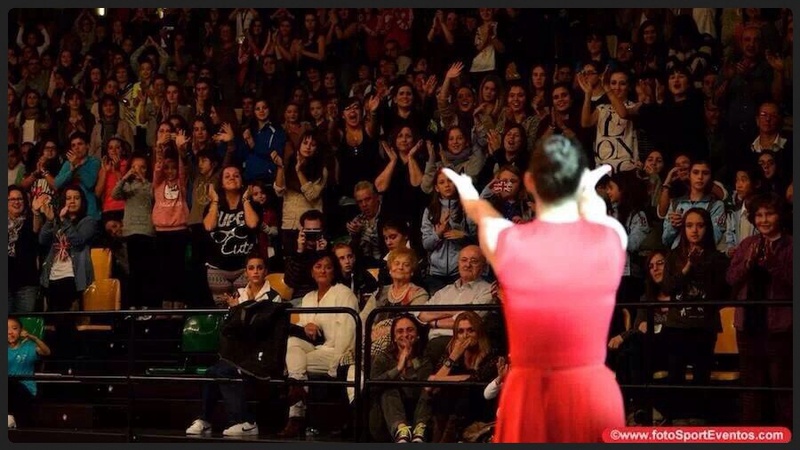 Darya Dmitrieva, finaly won’t continue training and retires.